Is going on a Low Carb Diet Healthy? As I was going through pictures on my computer, I came across an album from my senior prom this past May. Prom pictures gave me flashbacks of hearing girls talk about the crazy diets they were on for prom season. I remember my friend talking at the lunch table one afternoon about the diet she was on, which she referred to as the “military diet.” She was on a strict schedule of what she could eat and was hoping to drop three pounds in just one week. Her diet was definitely extreme, but one of the most common diets seemed to be the “low carb diet.” I decided to look into this specific diet to see if there were any health risks linked to it. First, let’s look at what a low carb diet is. This website here defines a low carb diet as a diet that restricts carbohydrates. 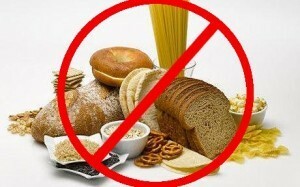 Most of these carbohydrates are found in sugary foods, breads, and pastas. Of course, these are some of the most popular foods. It can be extremely hard to cut them all out of your diet at once. In fact, this website here states that cutting all of these foods out of your diet can make you feel sad and stressed. Cutting them out will also make you crave them more because they are such a huge part of our daily lives. The same website mentions a study that was done by Australian researchers. The study gathered people and gave half of them a rich carb diet and half of them a low carb diet for a full year. Here, the null hypothesis would be that taking away carbs does nothing to your health and happiness. The alternate hypothesis would be that taking away or lowering carbs does, in fact, affect your health and happiness. After the study was finished, the carb eaters felt happier and calmer while the low carb eaters were feeling stressed out. Of course, this is just one study. Perhaps these people simply always felt this way before the study. Another negative factor to going on a low carb diet is the fact that it might actually make you eat more, which is most likely the opposite of your goal. Studies have shown that low carb diets make you crave more, and make you binge eat other foods. On the other hand, if you do not make your low carb diet extreme, it could be good, according to this same website listed above . It really depends on how long you are on the diet and how many carbs you cut out of your diet. This website lists a number of foods that are good to eat while on a low carb diet. Perhaps a low carb diet is not so bad, after all. It really depends on how extreme you want to make it and for how long your diet is for. So, if you want to lower your carb intake, go ahead. Just know that studies have been done showing people who get a lot hungrier more often after cutting carbs out of their diet. This entry was posted in Uncategorized on October 21, 2016 by Madelyn Erin Peikin. I really enjoyed reading this article because I have recently been looking for a good diet. I considered a no-carb diet as well as a low-carb diet. I thought that it would be good way to help myself loose weight. My moms friend just recently started a no-carb diet and my mom was shocked because both my mom and her friend are Italian and my mom questioned how her friend could go without eating like an Italian, pasta and bread. I found myself that it is hard to go on a no-carb diet because there are carbs in every single thing that I eat and if I did this diet I probably wouldn’t eat anything at all. This blog post was very informative of the negative effects of a low-carb diet and is helping me in figuring out what diet is best for me. Here is an article that talks about the 6 most common problem people face when starting a low-carb diet. Great job. I thought this was a very interesting topic and very helpful. I think you could’ve used more evidence, however it was still storing overall. Personally I could never cut carbs out of my diet completely, so that is some serious will power! Also, I like that you talked on the null and alternative hypothesis , as we touched on this in class. Great job overall. Here is another article to check out!